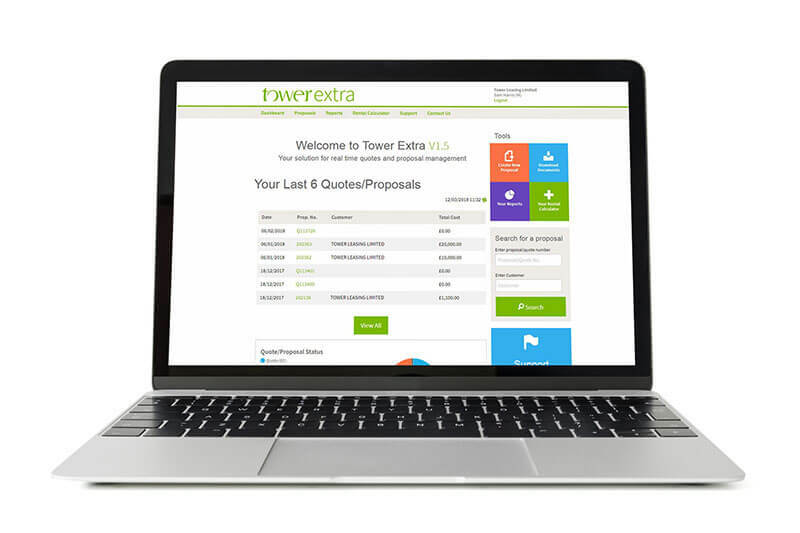 Tower Extra is an online portal designed as a bespoke service for our dealers to create new proposals, quote customers with our online rental calculator, access all existing proposals, exporting reports and generating documents. How will Tower Extra benefit you? Quote your customers a finance option, either in a face to face meeting or over the phone. Easily propose a client for finance and gain an acceptance within minutes. Electronically sign finance agreements with your customers. Generate tailored reports that give an insight to your leasing portfolio with Tower. Tower’s first rental calculator through an app – loved by many and still used today to quote customers on a lease. 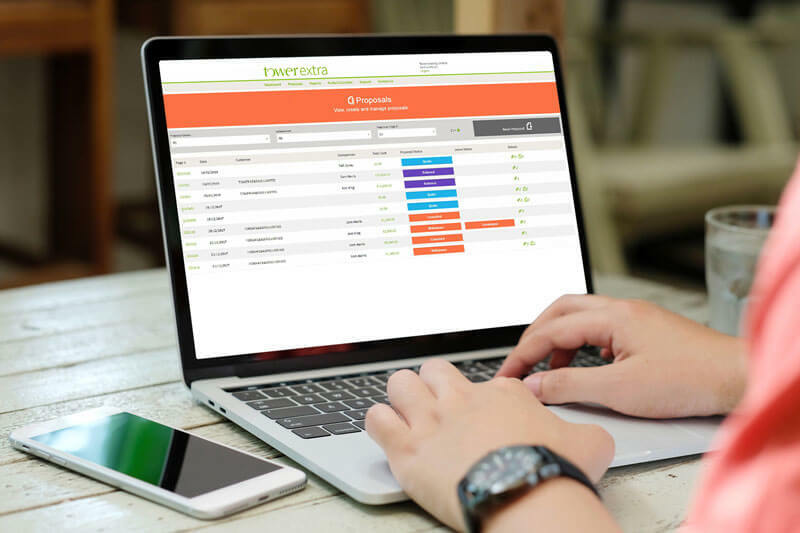 Each supplier will have a version of TAPP tailored to their business, based on the lease rates we’ve agreed on. Lease rentals based on a set invoice value. An invoice value based on a set lease rental.